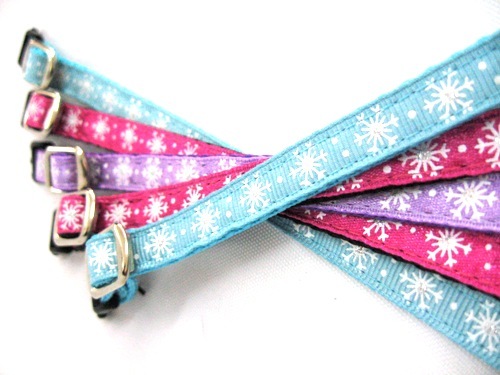 Small Snowflakes - $12.00 : Your Pet Store, Made in the USA! White snowflakes on turqoise, purple, red, kelly green or pink background. These are great all winter long. Available in 3/8" or 5/8" widths.